Defence Science and Technology (DST) sponsors a portfolio of strategic research initiatives focussing on high impact priority areas for future Defence capability, the Strategic Research Investment (SRI) program. 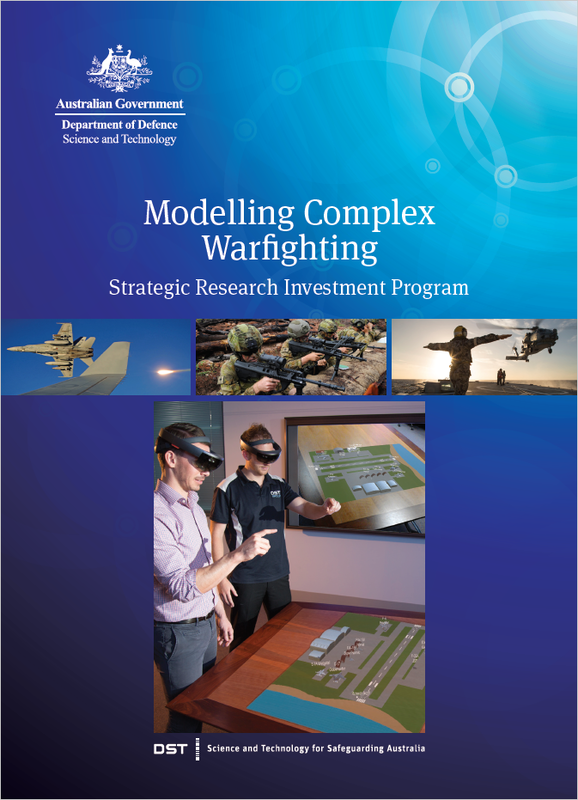 The Modelling Complex Warfighting (MCW) SRI was launched in 2017 as one of these initiatives with research plans and a timeline of five years. Determination and evaluation of options for the effective allocation of limited Defence resources to future force composition and employment, where the consequences of resource allocation decisions are realised in future scenarios that the decision-makers cannot fully control nor know at the time of the decision. The MCW SRI expressly seeks to revolutionise how we undertake operations analysis in DST to better handle the interaction of complex geopolitical, social, technological, economic and cultural factors for employment of the current force and design of the future force. Force design is the planning and decision-making process regarding military equipment and future defence operations. Such decisions are often made under conditions of high uncertainty, and without assumptions on predictability or stability of the system.